Crosstown Concourse, otherwise known as the old Sears building, recently reopened its doors and is now home to different businesses, or- ganizations, restaurants, and so much more. Madison Grinder, Alice Cren- shaw, and I had the opportunity to visit Crosstown and more specifically, Church Health. While we were there, we learned about the many different ways this organization helps the greater Memphis community. We started our volunteering in the Church Health Nutrition Hub, where we got to learn all about the different opportunities in the kitchen. We helped set up the food for a cooking class, called the Culinary Medi- cine Community Cooking Class offered every Thursday, which teaches not only healthy cooking, but also how to use the different equipment in a kitchen. 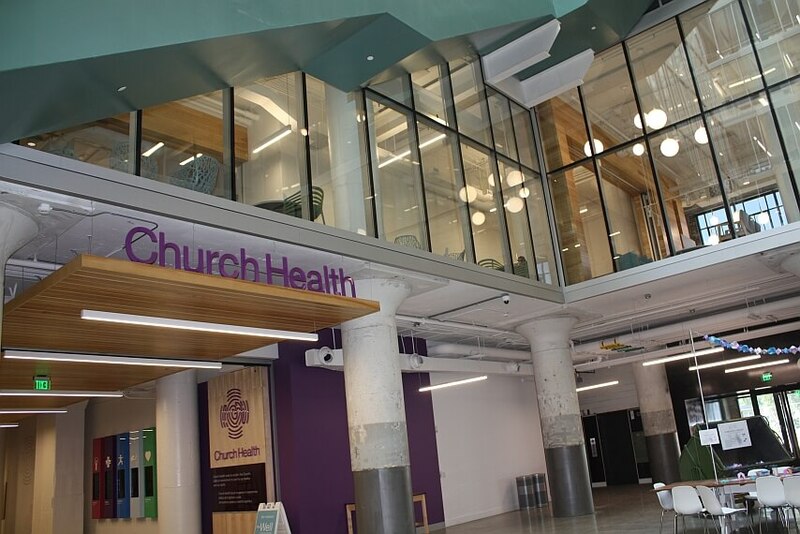 Culinary Medicine Continuing Medical Education Classes and The Art of Dinner Series are two additional classes offered in the Church Health Nutrition Hub. The Hub teaches the Church Health Center commu- nity how to make healthy meals with good flavor and helps people enjoy these meals in community. Another activity we got to participate in was the Stargazer Garden Art Installation, which is a collaboration installation with Church Health and Crosstown Arts, led by Crosstown Arts resident Eric Clausen. Cross- town Arts will have different installations every nine months, this being one of the firsts. 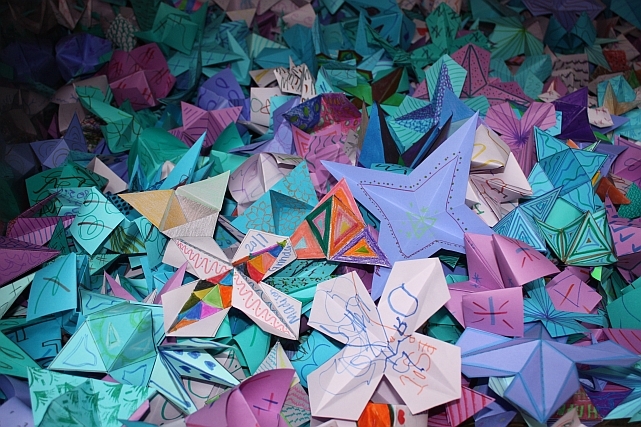 Anyone who enters Crosstown is encouraged to make a paper flower near Church Health in the West Atrium. All of these paper flowers will be strung together and will create a flower curtain that will be installed near Church Health in the fall. We were able to make multiple flowers and put them in a huge bin with all of the others that have been made by people passing by. This project brings the Memphis community together and engages everyone in an Art Project that they might have not been able to participate in otherwise. We got to experience the great things Church Health is doing for Memphis and how much more it will be able to do in its new location at Crosstown.